So along with the clothing and purse score at the thrift store earlier this month, I also picked up some glassware. 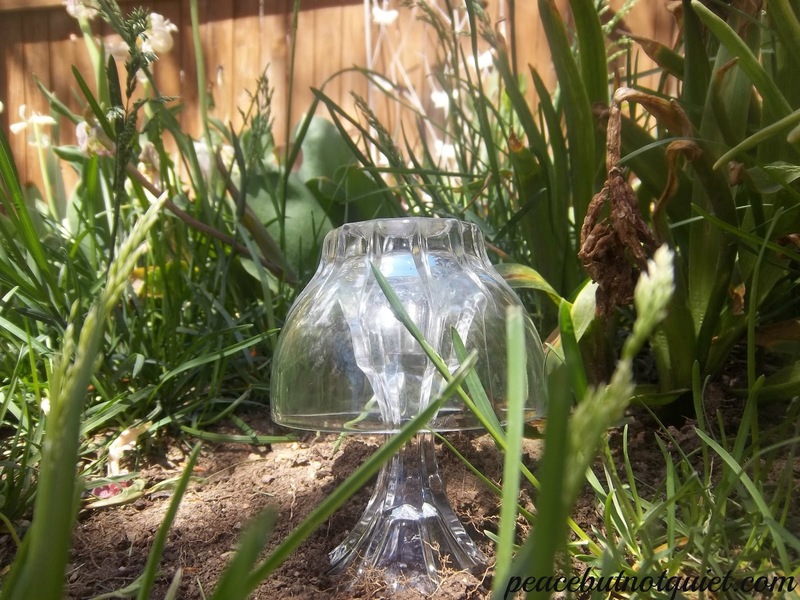 Little crystal bowls and a few crystal candlesticks. I played around with them, helped by constant advice from my five-year old (“Mom. That does not look like a mushroom. No.”) When I finally got them the way I…er, he…liked them, I glue-gunned the tops on. I wouldn’t use a glue gun on anything else going outside, but I figure in this case, the glue won’t actually be exposed to the elements, and it’s not supporting any weight — just keeping things in place. Let’s pretend those are exotic and unusual plants you’ve never heard of, rather than weeds, yes? Be careful about announcing happily that you spent your day making crystal mushrooms, though. People seem to misunderstand. What a creative and fun craft project! It reminds me of something you would see in a fairy themed garden. Thanks so much for sharing at Saturday Spotlight. That is so pretty, I really like how simple it is, but elegant. Found you on seven alive, Love the “Be careful about announcing happily that you spent your day making crystal mushrooms, though. People seem to misunderstand” I literally laughed out loud! They came out cute great job! Following you! I would think these would be good for seed starters! Totally going to try that next year! Great Idea! These look great. 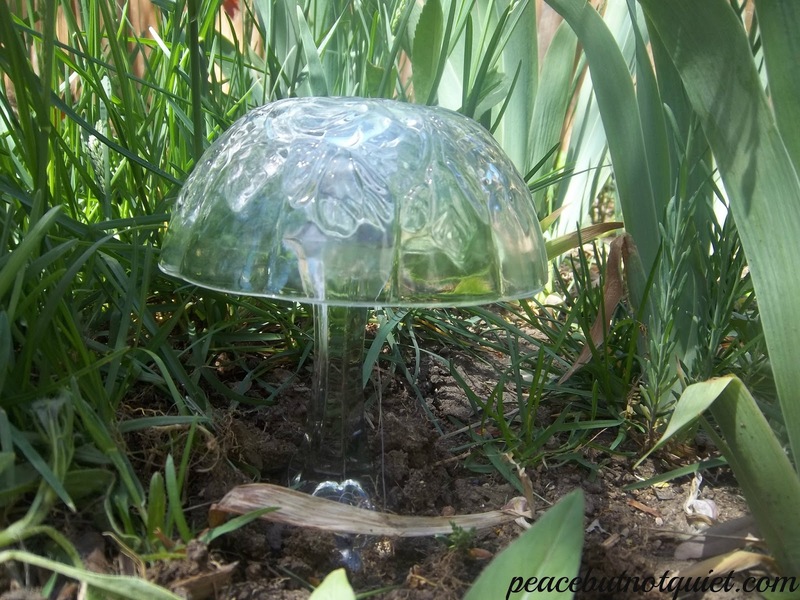 This is a good idea, especially if I make “crystal mushrooms” to protect young seedlings in my gardens. 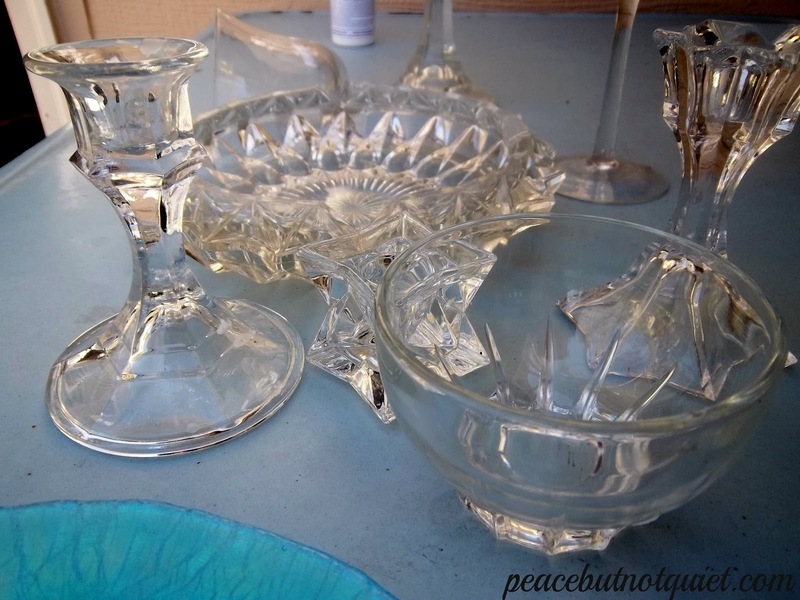 The dollar store is a great source of bargain glass bowls, as is the thrift store. Also, I might rid my pantry of unused clear glass bowls in such a good use !Thanks. 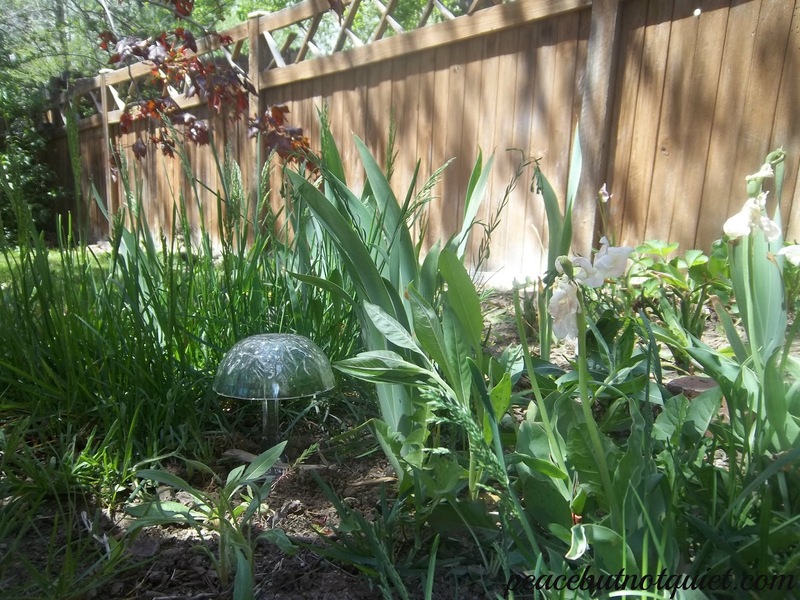 I never thought of them for seedling protection — I love it!